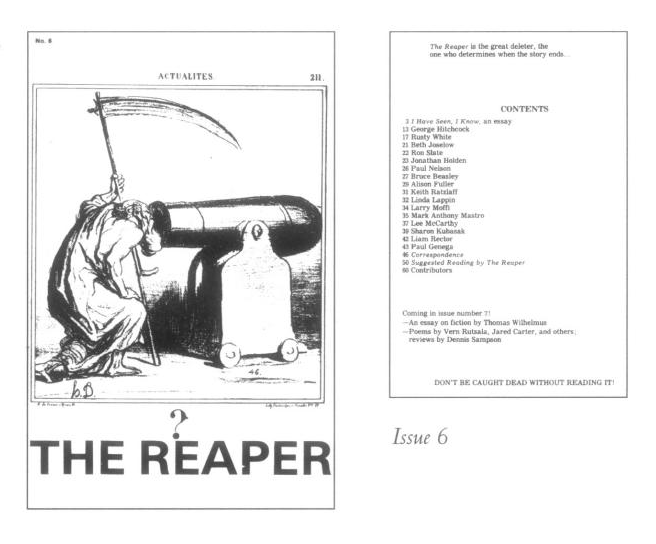 William Lusk Coppage: The Reaper and How the Poem Ends. The Reaper is "the great deleter, the one who determines when the story ends." This line comes from the first essay in a collection of essays taken from the now defunct, narrative literature journal, The Reaper. These essay s were written by poets, Mark Jarman and Robert McDowell between 1980 and 1989. I felt that I have ignored my small audience and wanted to share this collection of essays. This past year I have been looking into language and how it creates distance from speaker. Poetic devices such as rhyme and alliteration, while useful in poetical context, can also create distance. 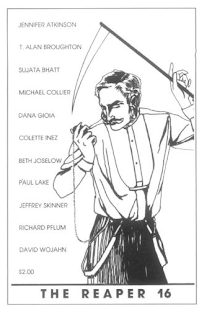 Much of my own work is narrative, and after discussing some of these ideas of narration, speaker's distance, and language with my colleagues, I was given the suggestion to read The Reaper Essays. I am grateful for the suggestion. Take prosody off the hit list. Stop calling formless writing poetry. No more irresponsibility of expression. Raze the House of Fashion. Dismantle the Office of Translation. Spring open the Jail of the Self. 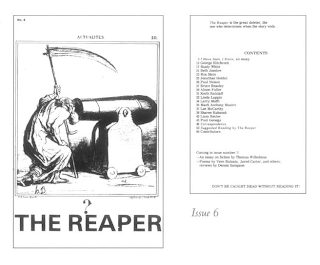 If you are interested, I have included the link for The Reaper Essays below. They sound like good rules to me. Thanks for pointing out this collection -- and writing another post.